NEW ORLEANS—Philip Gunn says he is trying to move more of his state’s citizens from dependency on government “freebies” to self-sufficiency and a lighter tax burden. 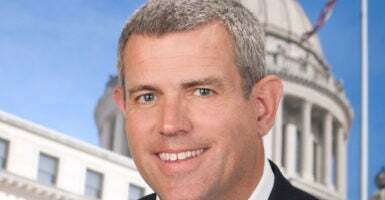 As speaker of the Mississippi House of Representatives for six years, and the first Republican since 1876 to hold the job, the lawyer is in a good position to do that. “[We’re] trying to get away from government dependency, giving away freebies,” Gunn told The Daily Signal in an interview during the annual meeting of the American Legislative Exchange Council, an organization of state lawmakers and private-sector leaders that seeks to implement conservative policies. Gunn said the overhaul of the federal tax code passed late last year by congressional Republicans is an inspiration for his state. Signed into law by President Donald Trump, the tax reform package sought to spur economic growth by reducing the corporate income tax rate from 35 percent to 21 percent and repealing the corporate alternative minimum tax. We’re trying to put more money back into the pockets of the taxpayers. We think they can spend their money more wisely than government can [and we want to] make sure that we’re efficient with the revenues that we have, and that we don’t take in more money than we have to have. 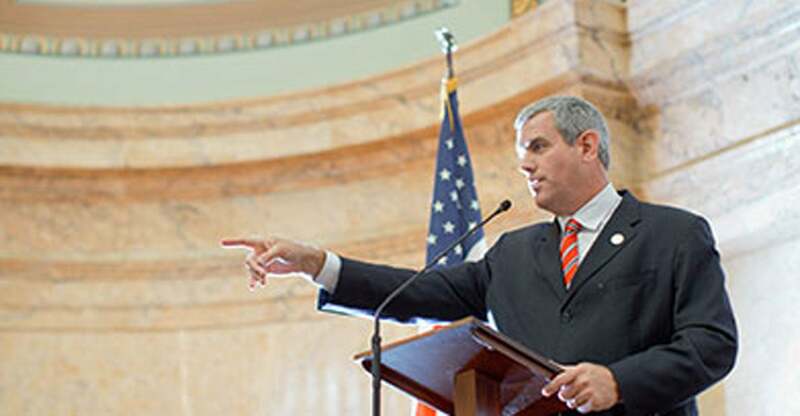 Gunn, first elected to the Mississippi House in 2003, was elected speaker in 2012. 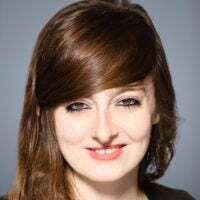 Mississippi has one of the nation’s highest rates of poverty and the lowest median household income, at $41,754 a year, according to federal census data published by the Mississippi Today news site. We’re a part-time legislature, we meet three months out of the year, and so we got a lot of work to do. We do what we can during the short amount of time that we have to work on these types of things. Even as we speak, we are looking at transforming some of our tax policies and hopefully have brought in the American Legislative Exchange Council and the Tax Foundation and some other entities to examine what we’re doing and offer suggestions for improvement. Gunn, 55, practices law at Wells Marble & Hurst PLLC in Ridgeland, Mississippi. In 2010, the Mississippi Business Journal named him one of the state’s Top 50 lawyers. Gunn received his bachelor’s degree in business administration in 1985 from Baylor University and his J.D. from University of Mississippi Law School. He met his wife of 31 years, Lisa, at Baylor. They live in the city of Clinton and have four children and two grandchildren. Gunn sounds like he hasn’t quite gotten over Republicans’ historic comeback in his state. With that comes a lot of responsibility and as I said earlier, we are trying to bring to bear conservative leadership, correct some things that we think have been the wrong direction for many, many, decades, and bring to bear good conservative legislation that helps improve our state. There’s a lot of responsibility there, but there’s also a lot of enthusiasm that comes along with that. It’s a great challenge, but it’s also a great opportunity.